Because everyone we see at VIP is an individual, the fixed package price of your cosmetic surgery procedure can only be determined when you have been seen by one of our expert BAAPS & BAPRAS cosmetic surgeons. The cost of your surgery can be dependant on many factors, including whether you will be required to stay overnight in one of our VIP private hospitals. 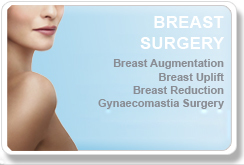 During your CONSULTATION, your VIP surgeon will help you understand the procedure and the expected results and will guide you through all the options available. Our patients have told us how reassured they felt after their initial consultation with one of our accredited surgeons; the only person that is qualified to give you medical advice. 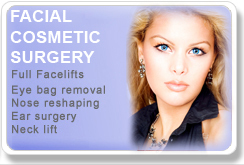 VIP Cosmetic Surgery offers a range of monthly payment plans to suit your individual requirements. 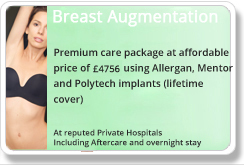 VIP understands that whilst not wanting to compromise on quality and care, affordability is an important factor when choosing to have cosmetic surgery. This is why we have a dedicated team on hand to discuss the different options you have when it comes to financing your surgery or treatment with us. There are several monthly payment options to choose from and our friendly and helpful team will be happy to guide you through the different options available. When you apply for a loan with VIP, our loan company will carry out a credit check as standard. It is possible that you can still apply for a loan if you have a guarantor who meets this criteria. If you are unsure as to whether you are eligible for finance or if you have any questions at all, please do not hesitate to call us on 0800 0112 787.